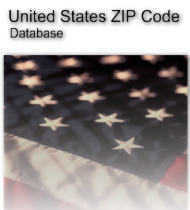 The Lite Edition contains a complete listing of all United States ZIP Codes, their corresponding USPS preferred city or organization name, state, and ZIP Code type. This is a very basic ZIP Code data product. The data is well suited for simple ZIP Code validation, city-state lookup or similar application. Portions of data provided by and Copyright United States Postal Service 2018. Quentin Sager Consulting is a non-exclusive licensee of the United States Postal Service.